Australia has more than 8000 islands within our maritime borders and there aren't too many uninhabited in that total. 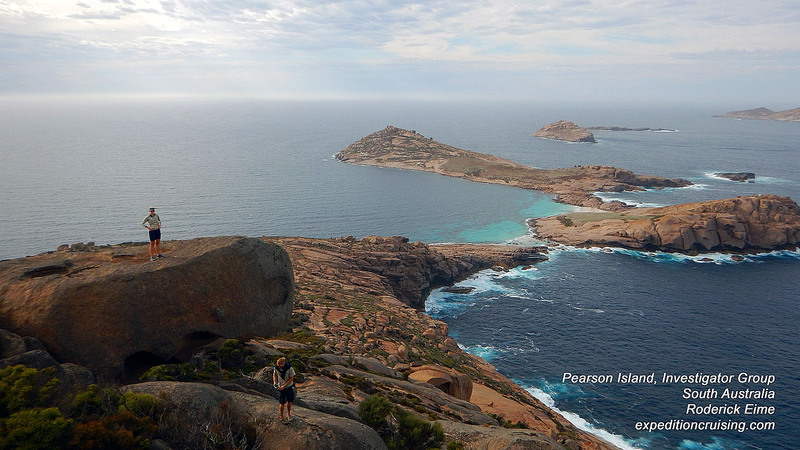 Pearson Island is the second largest within the Investigator Group at 213 hectares and the the group's highest point at 231m. Named in 1802 by, you guessed it, Matthew Flinders who did not state the source but Flinders typically named his discoveries after benefactors or crew. Today a group of us will summit the imposing granite outcrop on this human-free island, inhabited only by the cutest rock wallabies, some tiny dragon lizards, a few bird species and a scattering of pinnipeds. We are accompanied by Pat Walsh, a ranger with SA Parks who gives us the lowdown on this isolated archipelago. The islands have enjoyed progressive levels of protection since 1916 and now include the waters as a marine reserve, an announcement that did not please recreational fishers who enjoy the rich bounty. More recently the Pearson Isles have been back in the news following Sea Shepherd's Operation Jeedara in response to BP's plans to drill for oil in the Great Australian Bight. 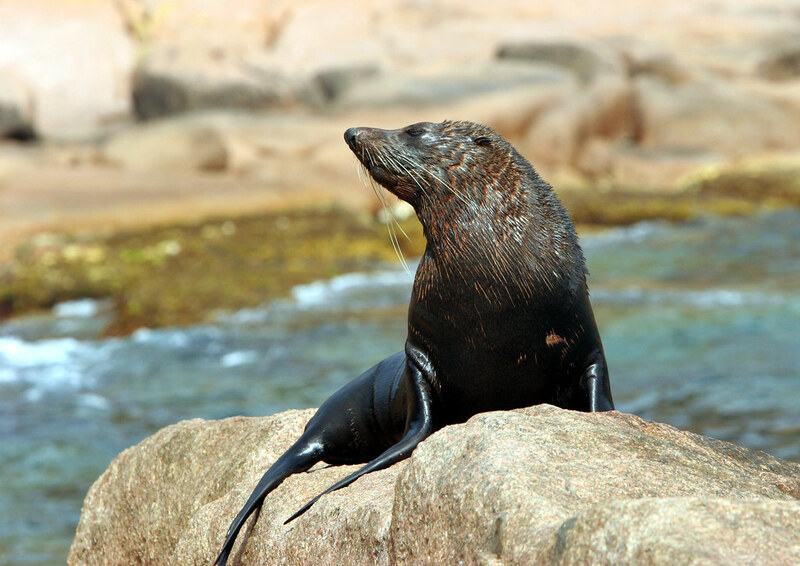 As our tenders put the landing party ashore, we receive curious stares from several fur seals cavorting in the shallows. Great expanses of golden granite extend all the way from the summit to the shore with large sandy patches sustaining sheoak, tea tree, ruby saltbush and rock fern. Pat was particularly chuffed to find a big West Coast Mintbush (Prostanthera calycina) which he tells us has all but vanished from the mainland because “pretty much everything likes to eat it”. As I remembered from my only other visit here 10 years ago, a family of little rock wallabies live among the boulders, peering out occasionally as the clumsy bipeds shuffle around shore. We set off uphill in a steady climb to the summit, calves burning as we pick our way through the low scrub which gives way to spindly shrubs and finally bald granite at the top where a stiff breeze keeps us in check. No parkour for me. The prospect of a heavy fall through the ample gaps bearing on my mind. Obligatory snapshots completed we head back down where True North sits like a child's tiny bathtime toy out in the bay. Back aboard, chefs Luke and Gav have a healthy feast of abalone, fresh caught whiting and colourful salad waiting for us.